Having profitably attended and written about masterclasses for many years, I welcome this initiative which aims to provide an ongoing and permanent archive of great musicians teaching; it deserves every success. Conducting is a great mystery; we came away from a conducting class with the LSO recently having actually learnt very little and wondering whether Sir Colin Davis' willing victims got much more from it all? 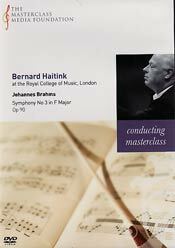 Bernard Haitink warns his pupils at the Royal College of Music that within the orchestra it seems that the conductor does nothing; when you stand up in front of them it is very difficult. And so, says Haitink, is the Brahms third difficult and infinitely problematic. A quarter-hour with an unnamed and unseen interlocutor, during a break in the course, was disappointing. Interviewing is difficult too; asking the right questions... Haitink answered the first one by reminding us that he is not a musicologist. Several times he mentioned that he is not good with words, and most of his same points were made better in context when he was supervising one or other trainee. Some of the aspiring conductors found it hard to express their feelings about the music in facial expression and body language; again, it was a privilege to be so close to them as they struggled to modify habit and, in one case, confessed to tension and a feeling of being 'blocked'. 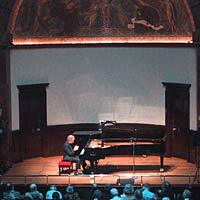 Andras Schiff's Beethoven lecture at the Royal Academy in London was quite another thing. 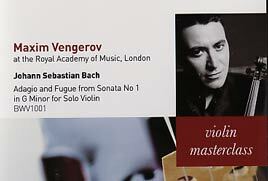 He analysed at the piano the last three sonatas throughly, in a fluent, intimate manner (invisible mic?) which made you feel he was in the room with you. Lots of insights into detail that can easily pass you by, and with occasional illustrations from the composer's fraught manuscripts - more of those would be welcome. Listening at home, with a score on ones lap, made for three (separate) entrancing hours. 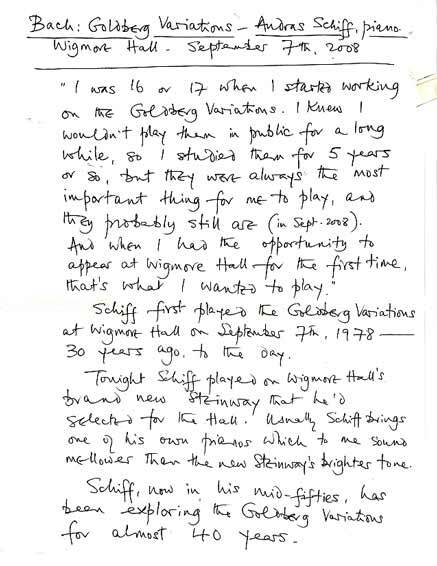 [At Wigmore Hall in 2006, Schiff (pictured) played the same three sonatas straight through without interval or pause - twice in the same evening, can you believe ?!...]. Schiff's task teaching Bach's 2nd Partita at Prussia Cove was easier than Haitink's imparting how to conduct a Brahms symphony. He helps a gifted young pianist (one of whom before long we will surely hear more) to intensify and refine his performance, sharing his profound knowledge of a work which he believes is a pinnacle in all keyboard music. No scores on view; both musicians have the work so deeply absorbed that points can be illustrated at the piano, with the pupil able to start anywhere and modify his playing immediately, which is rare in such classes. We are privileged to be as close as if it were happening in our sitting rooms, to better advantage than the listening fellow students at the Prussia Cove Seminar sitting behind them. 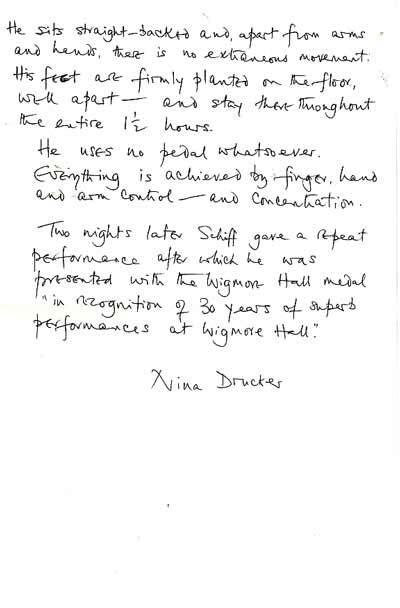 Crucially, we feel we are getting to know Schiff in a way one can't in recital or concert. There is a free sampler of the series available on request. P.S. See a fuller review by MusicalCriticism of some of the first releases.